Just ME: gift it out! Today is the last day of school for my kids - I can't believe I made it! ha. 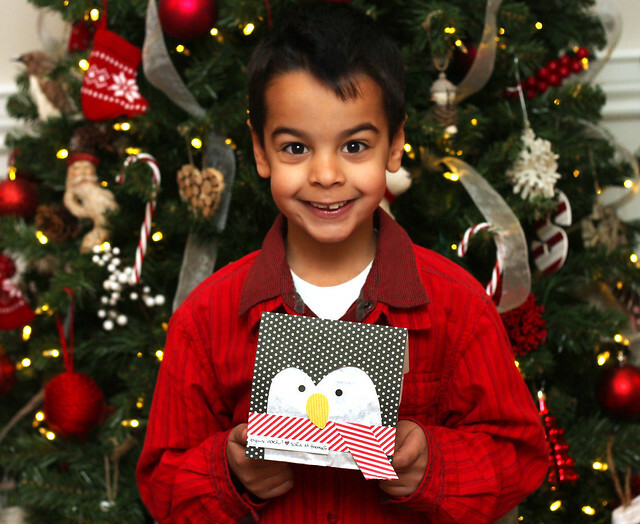 If you are looking for last minute packaging ideas, this post is possibly, maybe for you. I wonder what I ever did for Christmas crafting BS (before silhouette.) That machine has been my life-saver this week. 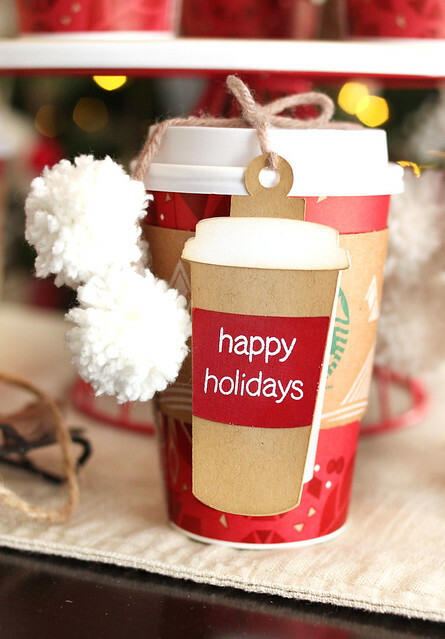 The kids' teachers all got Starbucks gift cards this year - I was feeling the pinch of time, and when my husband shrugged, "just throw money at them" I felt so much relief. I always feel pressured to hand-make everything! Once that pressure was relieved, I did the most logical thing: spent an entire day on the packaging. ha ha. My friend Laurie made similar packaging, and I couldn't get over the cute-factor of a starbucks-shaped-tag on a starbucks-cup. I added a little hanging tag at the top by welding together a rectangle and circle shape. Adding the pair of pom-poms to each cup was the real time-consumer, but they look so cozy. I have a pom-pom obsession this year. 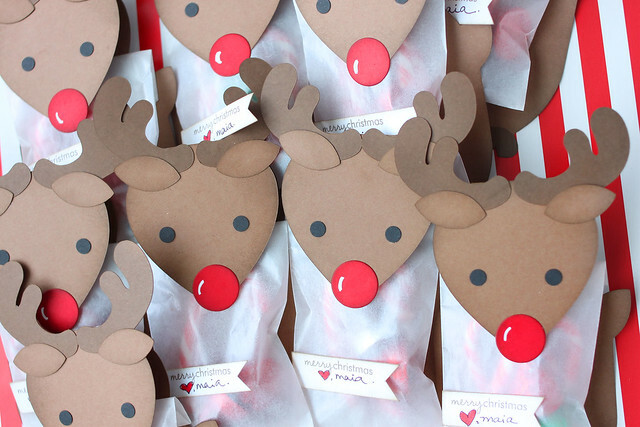 Maia's preschool class was treated to these reindeer packages. I don't like to give preschoolers too much candy (they get a little sugar-crazy, can I get an amen?) but a fun package could distract them from the fact that they are only getting 4 tiny treats. I used the silhouette again - to cut the reindeer. poor Thomas, posing for his mama at 6:45am right before school. If you want to whip up a few decorated lunch bags, we got this idea from the amazing Lisa Storms. I love that this craft was easy enough for the kids to take and make their own. These are just awesome Elena!! 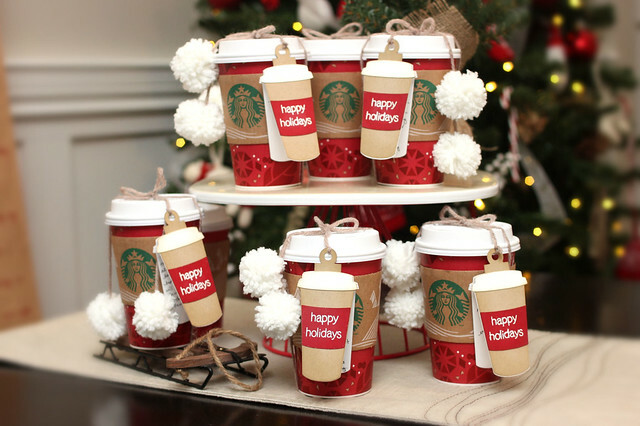 The Starbucks coffee cup tags are such a brilliant touch, and so is the cookie packaging, but I just can't get over those cute little reindeer - they are too adorable!! I have to lol at how you still hand made all that after not having to hand make the gifts, lol! These all look fabulous, Elena! Wow! Your kids' teachers must be over the moon with all these wonderful gifts!! Wonderful gift wrap, love all these ideas! Beautiful job!! All of your gifts are so creative Elena! I have to say that I LOVE that you spent the whole day packaging and playing with your Silhouette. Merry Christmas! Love what you did here! Those pom's are adorable!! These were great! 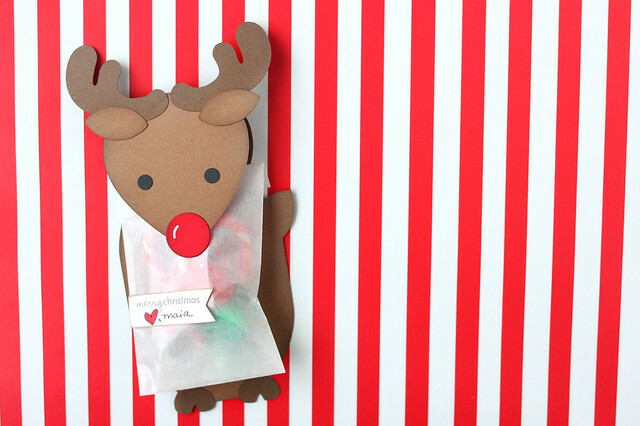 Love the cute reindeer.